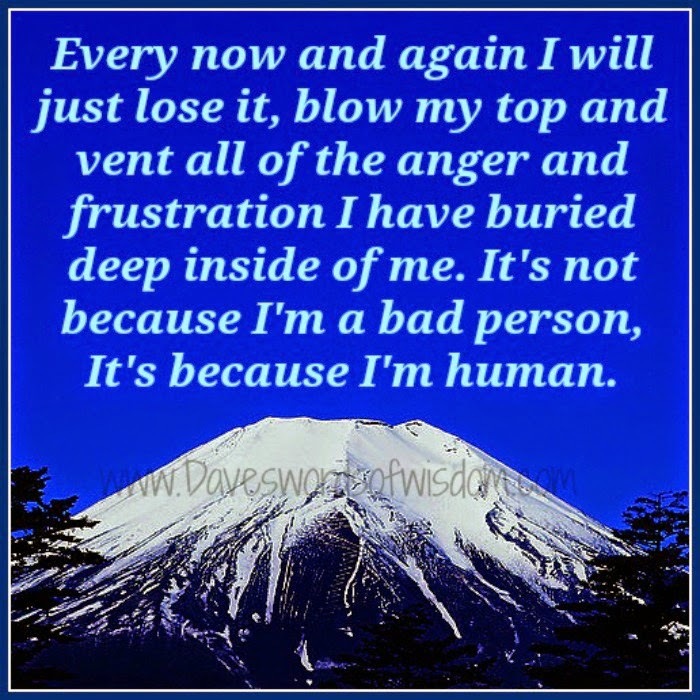 Daveswordsofwisdom.com: I'm human, sometimes I lose it. I'm human, sometimes I lose it. Every now and again I will just lose it, blow my top and vent all of the anger and frustration I have buried deep inside of me. It's not because I'm a bad person, It's because I'm human.